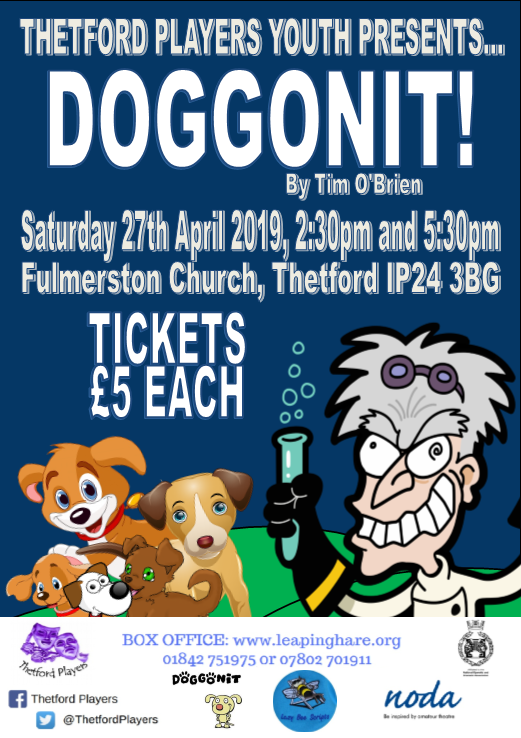 Thetford Players Youth presents Dggonit! Dogs, of course, can talk – but only to each other. The exception is Dakota – a dog trained to speak in secret by her owner, Caitlin. But this leads to trouble for them both after a disturbance at Ms Nancy’s School of Dog Obedience, leading to an encounter with the sinister Dr Live – a wicked scientist with a mission to create the perfect dog.